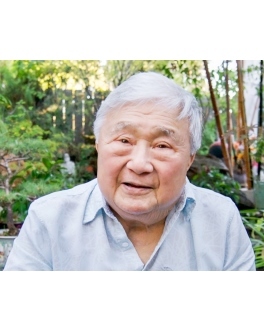 On March 16, 2019, Theodore Mah, loving husband and father of three children, passed away at the age of 91 at his home in Richmond, California. Theodore (Ted) was born in Guangdong, China in 1927. At the age of 11, he traveled by ship to San Francisco and spent six months on Angel Island. Uncle Art Mah took Ted to see the San Francisco World’s Fair on the way to his new home in Stockton, California. Ted worked in his Uncle’s restaurant to repay his passage and to send money to his family in China. Ted attended UC Berkeley receiving a BA and then an MBA in 1952. On July 4, 1953 he married his college sweetheart, Alice Lee. Ted served in the army in Augusta, Georgia where their first son, Steven, was born. Ted and Alice returned to Richmond where they had two more children, Larry and Cynthia. Ted became a professor at Diablo Valley Community College, served three terms as chairman of the Business Division, retiring in 1988. An excellent cook, Ted loved feeding his family. He had a beautiful Japanese garden, enjoyed golf, mahjong and opera, wrote poetry, painted and carefully tended his investments. Ted and Alice traveled the world, taking photographs and sampling Chinese restaurants in every city. He generously gave support to many of his family and friends to improve their lives. Theodore was preceded in death by his parents Wu Suet Ching and Wong Shang Hing, his loving wife Alice, and his brother Joe. He is deeply missed by his children Steven, Larry, and Cynthia; his siblings Lin, Let, Chet, and Oi; his grandchildren Eva, Tyler, Kelsie, Jamie, Justin, Qatanna, Blue, and Jonathan; and his very large extended family and friends.